Disney XD is an American digital cable and satellite television channel that is owned by the Disney Channels Worldwide unit of the Disney-ABC Television Group, itself a unit of the Disney Media Networks division of The Walt Disney Company. Aimed primarily at children, its programming consists of original first-run television series, current and former original series and made-for-cable films from sister network Disney Channel, theatrically-released movies, and some live-action and animated programs from other distributors. The channel offers an alternate Spanish language audio feed, either via a separate channel as part of a package of Spanish television networks sold by cable and satellite providers or a separate audio track accessible through the SAP option, depending on the provider. 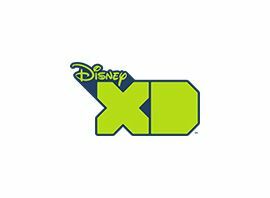 Disney XD was launched on February 13, 2009. The network took over the channel space of Toon Disney, an animation-focused channel that debuted on April 18, 1998, which eventually launched a live-action/animation block called Jetix in 2004; Jetix channels outside of the United States were relaunched under the Disney XD brand starting with the France-based service on April 1, 2009. Many of the channel´s programs ? particularly animated series ? previously aired on Toon Disney, mainly as part of the Jetix program block, which ran on Toon Disney until that channel´s shutdown. Disney XD carries the same name as an unrelated mini-site and media player on Disney.com, which stood for Disney Xtreme Digital, though it has been stated that the "XD" in the channel´s name does not have an actual meaning. Disney XD´s schedule currently consists largely of live-action and animated programs aimed at pre-teens and young teenagers, primarily original series as well as reruns of several programs from sister network Disney Channel. In addition to full-length live-action and animated original series, the channel also debuts short series similar to those seen on Disney Channel during commercial breaks (such as Team Smithereen, Run, Alien, Run! and Marvo the Wonder Chicken), which serve as filler for programs scheduled to end during the half-hour and last usually around two to three (and sometimes as much as fifteen) minutes. The channel also airs a youth-oriented "plays of the week" countdown segment called SportsCenter High-5, which is produced by ESPN´s SportsCenter and airs periodically between shows; it also airs a short series featuring edited segments of ABC´s Wipeout. Often, these shows are televised in the last two minutes of the program, with the exception of the Disney XD Shortstop, or following the ending of a movie. A notable aspect of Disney XD´s original series is that they tend to feature predominately male casts, and as such, its original programs feature very few females as main characters (with most live-action originals typically featuring only one female in its main cast, an exception to this was the 2012-2014 sitcom Crash & Bernstein, & Kirby Buckets, which featured a predominately female cast) in comparison to Disney Channel´s original programs, which tend to feature an equal or nearly equal amount of main characters of either gender. New episodes of live-action original series are usually aired on Monday and Tuesday nights, while new episodes of animated original series air on Saturday mornings. In addition, Disney XD airs original made-for-TV movies from Disney Channel and theatrically released feature films, but unlike Disney Channel, Disney XD typically does not air these movies in prime time; instead, films generally air during the late afternoon hours at 5:00 p.m. Eastern Time with double features airing a few times a week. Unlike Disney Channel (and similarly, fellow sister network Disney Junior) ? whose advertising comes in the form of program promotions, underwriter sponsorships, and interstitials for Disney films, home video and game releases produced by the channel ? Disney XD operates as an advertiser-supported service running traditional television commercials in addition to promotions for the channel´s shows. Marvel Universe ? "Marvel Universe" is a block of animated series produced by Marvel Animation that airs Sundays from 8:00 to 11:00 p.m. Eastern Time, which resulted from The Walt Disney Company´s 2009 acquisition of Marvel Entertainment. The block launched on April 1, 2012, with the premiere of Ultimate Spider-Man, followed by returning series The Avengers: Earth´s Mightiest Heroes. It also features 5 short series using short-form animated and live-action interstitials. Programs currently featured in the block are Ultimate Spider-Man (which also aired on Disney Channel from April 2012 to October 2013), Avengers Assemble, and Hulk and the Agents of S.M.A.S.H.. Disney XD´s international channels in Europe, the Middle East and Africa launched Marvel-supplied blocks in the summer 2012. The announced Guardians of the Galaxy animated series based on the film is expected to join the block in 2015.